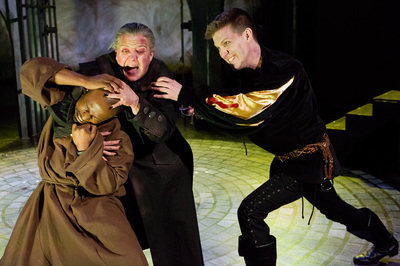 Thanks to everyone who made Hard Sparks' production of Melody Bates' R & J & Z a great big bloody success! You have our eternal thanks and our undying love. Learn more about this extraordinary new play and get to know the zombie horde HERE . 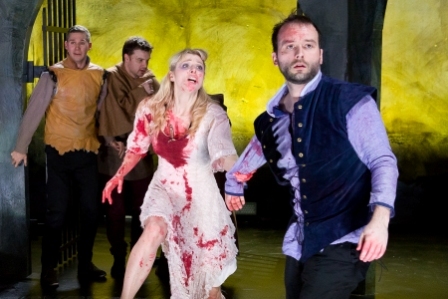 R & J & Z - the Z stand for Zombies - begins with Shakespeare's Act V and keeps going as the famous lovers navigate a world in which death isn't necessarily the end. Equally inspired by Shakespeare and modern zombie films, this new verse play pushes the boundaries of theatrical humor and horror. 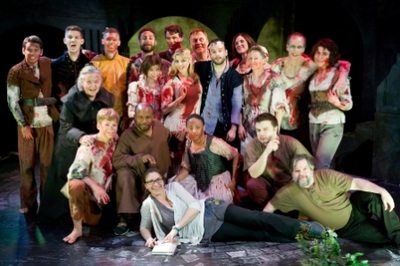 Learn more about this extraordinary new play, see photos from the Opera House Arts production, and get to know the zombie horde HERE .